Studies have shown that a peppermint scent stimulates the brain and increases concentration levels. These pencils are even acceptable for use on all scantron sheets that require 2 HB graphite. Sheets of newspaper are rolled tightly around #2 graphite until a pencil is formed. You can even see the layers. 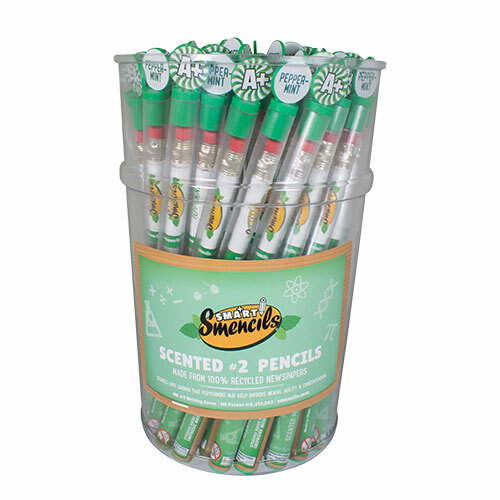 Pencils are then soaked in a peppermint scent made by an award winning fragrance company. Erasers and scent labels are applied. Then, each Smencil is put into its own Freshness Tube. Scents are guaranteed to last for at least 2 years. There are 300 Pencils in each case. Each case is divided into six 50-count carry tubs. 3. 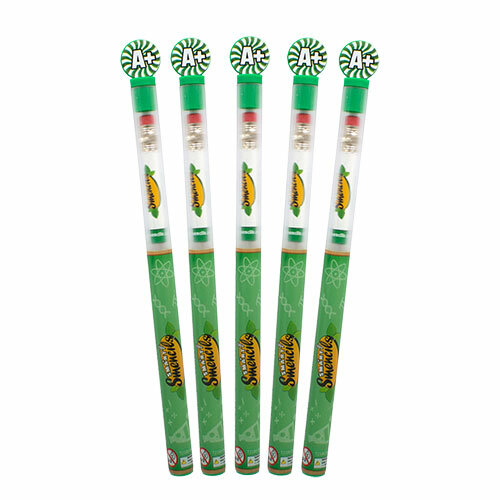 Your price for one case of Smencils is only $165.00. 4. You make $135.00 per case. That's 45% PROFIT!